We are everything you’d expect from a smaller agency: accountable, autonomous, flexible and personable. Thinktank Social is a unique social media marketing agency that takes the time to understand your business and create a strategy to accomplish your commercial objectives. Why unique? Because when it comes to execution, we simply don’t mind who does what… we’re only interested in success for your brand. Your Team, Our Team, Or Together… it doesn’t matter to us. Openly communicating, actively listening, challenging ideas and processes, and setting reasonable expectations to achieve the best possible outcome. Taking personal ownership and pride in our actions and always putting forward our best effort. Working together to foster creativity and leveraging individual strengths. Being honest and forthright in everything we do; while understanding and valuing the contributions and priorities of others. Exercising sound business judgement in all our decisions and actions in order to accomplish the best possible outcome every time. Dedicated to our partners, our company, the environment and each other. A broken leg in 2008 (playing rugby) was the tipping point for Thinktank Social’s founder, Sam Mutimer, when she became aware of the true power of social media and how it plays a role in branding and business as a whole. Unsurprisingly, Sam’s video went viral and received over 27,000 views in a matter of weeks. Watching the volume of enquiries flood through justified the value of great content and solid network connections for brands on social platforms to Sam… and an idea was formed. Upon her return to Australia and becoming actively involved in social media marketing via digital marketing agencies, Sam launched her own company, Thinktank Social, as a ‘niche’ social media agency – one of Australia’s very first. In 2009, Thinktank Social spent the bulk of it’s resources and energy educating decision makers and brands on “why” social media was important and how they can use it to meet their marketing/business objectives. With word of a drastic facelift scheduled in early 2010, MySpace was predicted to win market share back from the ever improving Facebook (and we all now know how that panned out!). As such, Thinktank Social spent time informing brands wanting to move into social media to consider platforms such as MySpace and Twitter, along with Facebook ‘Profiles’ & ‘Groups’, as they were known. Given that social media marketing was still a new concept that required a vast shift in traditional thinking, Thinktank Social’s client base during these years was predominately a mix of start ups, early adopters and small business owners. The Richmond Football Club foresaw the opportunity and were one of the first organisations to come on board that focussed on Facebook Apps and FComm. Over time, as organisations started to recognise social media as a true marketing platform, Thinktank Social was rewarded for effort via it’s first dedicated social media budget. Social media marketing had well and truly arrived in 2012, with Facebook having over 800 million active users and Twitter over 100 million. Despite those impressive statistics, there were now some new players on the strategic marketing field that had grown significantly in the shadows… enter Instagram and Pinterest. During the span of ONLY six months in 2012, Instagram’s average daily mobile visitors jumped from 886,000 to 7.3 million, representing a mammoth 724% leap. In January 2012, comScore reported that Pinterest had 11.7 million unique U.S. visitors, making it the fastest site ever to break through the 10 million unique visitor mark. Furthermore, although reporting 20 million users in 2006 – before Facebook’s time – corporate networking giant LinkedIn was beginning to feature more in discussions around strategic outreach initiatives on behalf of Thinktank Social’s clientele. Data collection, database acquisition and a yearning for context behind that data saw Thinktank Social take new steps forward in creating targeted campaigns and content production to meet the consumers needs. Although released a couple of years prior, Snapchat usage rocketed in Australia throughout 2014 with over 1 million active users recorded by the close of the calendar year. Worldwide, Snapchat stated that its users were sending 700 million photos and videos per day, while Snapchat Stories content was being viewed 500 million times per day. While Twitter pioneered the use of the hashtag and ‘trending topics’ in 2009, it wasn’t until the back half of 2013 and early 2014 that hashtags began to be used as a social media call to action and/or marketing initiative. Instagram users, in particular, made it easier for brands to leverage from existing conversations as hashtags began to be used to describe emotions and experiences instead of standard language posts (i.e. Facebook). Jimmy Fallon and Justin Timberlake performed a sketch parodying the often misused and misunderstood usage of hashtags on Late Night with Jimmy Fallon in September 2013. Click to view on YouTube. 2015 shaped as the year of the social media influencer. More and more brands were interested in speaking to Thinktank Social about influencer outreach, in an attempt to stand out in a “cluttered space”. Where users were bombarded with adverts, social media influencers became a great way to have a real person tell a message. More so, many social media influencers had (and still have) a great reach, in their number of followers and/or fans, than many high-rating television network programs. Whilst undeniably attractive to business and brands given the relatively low cost compared to traditional advertising means, social media influencer programs must be managed and developed carefully and with purpose. Utilising the most up to date tools to target relevant, location-based conversation, along with a tried and true internal leads acquisition process, Thinktank Social remains more than equipped to power your brand to the front of the pack when it comes to influencer marketing. 2017 powered up off the back of 2015. We saw the Influencer become a solid player of engagement and revenue at much lower costs compared to other forms of advertising. At the time it was authentic, provided user-generated content and spoke in a way the market likes to consume media. Instagram stories, modelled off the snapchat communication method, began the grabbing attention of the consumer. Documentary style, with a 24 hour viewing period, it was well received and with the swipe up to website, brands saw solid returns here. LIVE..we are curious creatures..Facebook and Instagram LIVE filled a huge demand in the market, showing behind the scenes content and experiences in the moment that we thrive off! Video. 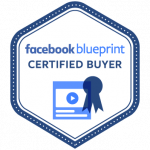 Facebook Video advertising lifted off in a big way, with the ability to tell short stories, and target them to relevant markets.. proving low costs per clicks and again great returns over other formats we had available to us in 2015. Instagram and Snapchat ad sets were now extremely powerful with new features being developed frequently and now open to the SME. Throughout 2018 was somewhat of a light-bulb moment for the team at Thinktank Social... client expectations started to evolve we noticed far more of a focus on strategy and requests to assist businesses to implement in-house. We know the business we're in changes as quickly as status updates do, therefore we began to shift in a new direction ourselves; one focussed on ensuring we were providing as much strategic expertise and knowledge as we could to our clients. Education and Advisory became our focus mid-2018, with a firm belief that by imparting the knowledge gained over the years to our clients and showing them how - rather than doing on their behalf - we would be helping to establish the foundations for sustained social media marketing success. As are business objectives and the strategies required to achieve them. We don’t offer you a ‘one size fits all’ solution. We’ll look at your business, understand your audience and create a bespoke approach to give ourselves the best chance at achieving success. We know how frustrating it is when you have constantly changing personnel on your account. That’s why we make sure that from the very start you have a consistent team, one who knows your brand inside and out and cares about it as much as you do. We haven't always been a successful agency. We also started small and through a strategic growth plan, grew the business. We know ourselves that this isn’t easy and takes a calculated strategy. We understand how to achieve business goals, whatever they may be. Protecting your brand and ensuring it’s treated with care is a responsibility we take very seriously. Whether we’re considering brand welfare in relation to where we place your display ads, to ensuring the right audience engages with your content, our team have it covered. An experienced and passionate team looks after our Partners with the utmost care. Results and performance are a given, and responsiveness comes as standard. We work together to deliver handmade, partner-centric solutions. We are #oneteam. Education has become an integral component of our overall business strategy at Thinktank Social. We leverage each team member’s skillset and encourage everyone to share their knowledge with businesses that want to practice their own digital marketing.